The Keighley & Worth Valley Railway during their recent Winter Steam Gala featuring visiting engines 13065, 61264 and 45212. Also hauling services over the weekend was 1054, 1704, 75078, 85, 90733 and the Grafton Steam Crane. 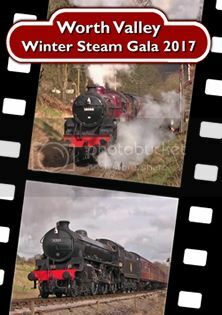 Our annual Winter Steam Gala DVD is now available to order from our website including footage from the three day event. More details available here.